Early 1990s period in Punjab was marred by blatant, widespread and systematic human rights abuses by Indian security forces. Illegal confinement, torture, custodial killings, enforced disappearances, fake encounters and secret cremations had become common policing practice. 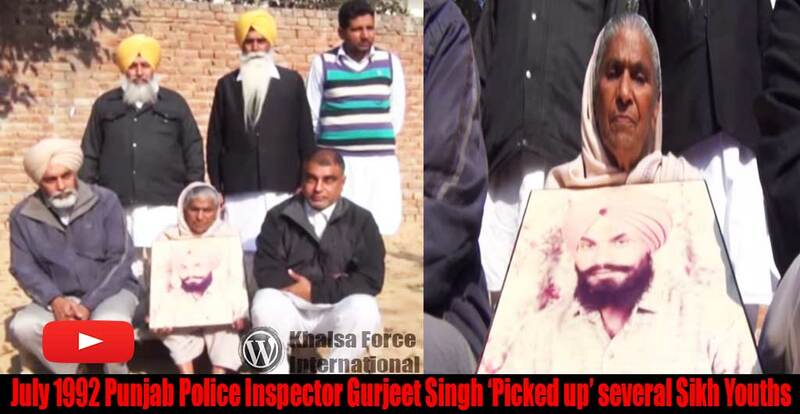 In July 1992 a Punjab police Inspector Gurjeet Singh ‘picked up’ several Sikh youths, most of them were on government services, from Bathinda-Mansa region of Punjab. Victims were subjected to custodial torture during enforced disappearance and they were ultimately exterminated by the police. One of them was Paramjeet Singh S/O S. Gudit Singh, resident of Bathinda who was picked up by Gurjeet Singh and his police party from Bibi Wala Chowk Bathinda on 17 July, 1992. The police killed him after custodial torture and faked a story that Paramjeet Singh had escaped police custody. Paramjeet Singh’s father Gurdit Singh’s efforts to get death certificate of his son ultimately turned into struggle for securing justice. Bapu Gurdit Singh pursued his struggle for more than 20 years to secure justice for his son, but he could not see it during his lifetime. On 14 January, 2014 a trial court (Bathinda) convicted and sentenced 8 police personnel to imprisonment for life for their part in murder of Paramjeet Singh. But the main accused DSP Gurjeet Singh, who was sentenced to imprisonment for life in another case related to murder of a Sikh youth, absconded while he was released on parole. Two accused had died during the pendency of the trial. In Paramjeet Singh’s case DSP Gurjeet Singh was declared as proclaimed offender and as per Punjab police records he is “Most Wanted” absconder. 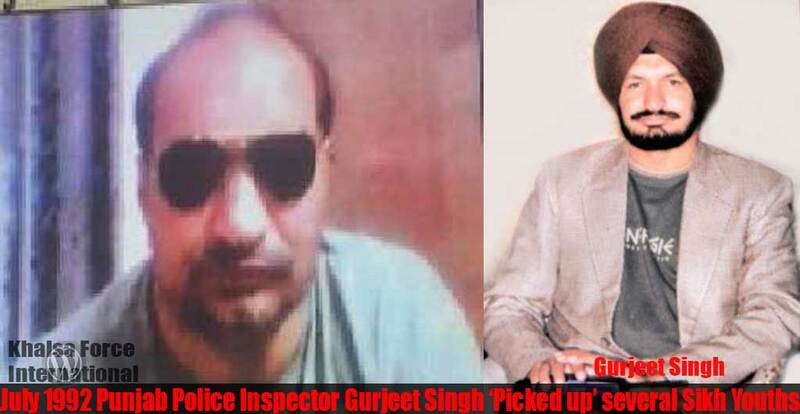 Gurjeet Singh is also wanted in several other cases. This documentary is an attempt to present the decades long struggle of Gurdit Singh and his family. Paramjeet Singh’s case is one of the few cases where persistent efforts of ‘outjusticed’ people brought some results but there is a long list of cases where no proceedings every took place. Webmasters, admins of social media networks/ hubs, individuals email can embed, email or share video’s YouTube link “ https://www.youtube.com/watch?v=_9ALc… ” after providing due source credit and backlink to the Sikh Siyasat. Prior permissions of Sikh Siyasat are required to air or screen the documentary in Public through any other mode. Note: This documentary was originally published to YouTube at url: https://www.youtube.com/watch?v=_9ALc… on December 10, 2014. Sikh Siyasat today released it’s first documentary titled ‘OUTJUSTICED – the untold story’ on the eve of 66th Human Rights day. Next post Killer of Thousands of innocent Sikhs | Butcher of Punjab KP Gill, Former Director General of Police, Punjab Dies in Delhi.